"Hi....I actually got another friend request from you which I ignored so you may want to check your account. Hold your finger on the message until the forward button appears...then hit forward and all the people you want to forward too....PLEASE DO NOT ACCEPT A NEW friendship FROM ME AT THIS TIME." How many times has this message or one similar to it been found in your inbox? It was likely sent to you from a well-meaning friend. A friend who passed it on "just in case". A friend who thought they were doing the right thing in helping others protect your privacy but instead forwarded spam to all of their friends. So if this isn't the right way to protect yourself and your friends on Facebook, what is? Facebook has been under attack for the last two years for how it does or does not protect the privacy of its users. 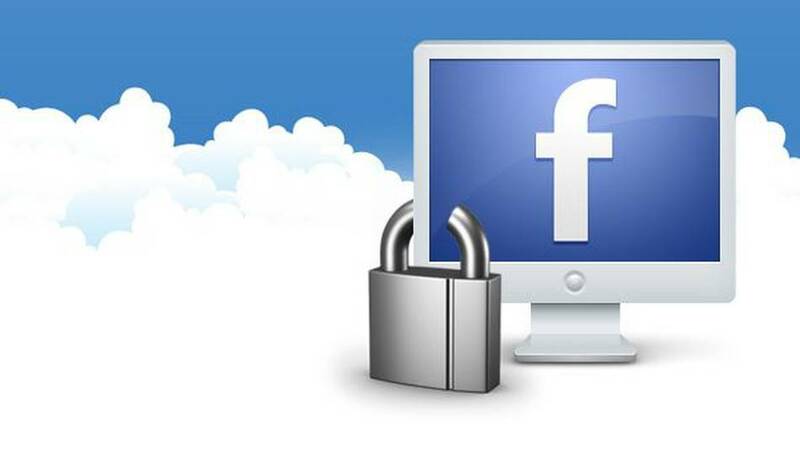 The politics of what they should and should not be responsible for can be left up to policymakers but in the meantime, there are ways you can make your account safer, and thereby also helping ensure the safety of your Facebook friends. It's significantly easier to work through your privacy settings using a computer (versus using your mobile device), so we will offer guidance via that route. You can access all the same tools on the Facebook app of your mobile device but it will not be laid out as well. Use a computer if at all possible. You will want to head to the upper right-hand portion of your Facebook screen and click on the little downward triangle to release a dropdown menu and click "Settings". Once you are on the Settings page, you will see a wide variety of options to your left. At some point, it is advisable to familiarize yourself with ALL of those settings. If you are going to use Facebook, you should understand how it works. The various options on the left side are the keys to the kingdom--know what they are and how they work. However, for this lesson, we will stick to some privacy basics. Therefore, your next move will be to go to "Privacy". You will notice that on the right hand side of each option, there is an Edit button. For maximum privacy, I highly recommend you edit your settings to match those above. Here is some background on "why". Typically, you do not want nor need anyone but your Facebook friends to see your past or future posts. In this section, you can manage both what happens in the future AND what happens in the past. Set your future posts to "friends only" and go to "Limit Past Posts" to ensure that all your past posts are on the same setting. Getting lots of strange friend requests from folks you have no connection to in Russia? That's probably because you don't have this setting correct. In order to avoid random requests from people you do not know, set it to "Friends of Friends". After all, if someone has exactly zero connection to anyone you already know on Facebook, how likely is it that they are in your circle of acquaintance? In general, if you get a friend request from someone you don't really know well...even if they are a friend of a friend, say NO---after all, would you invite any stranger that showed up at your door into your living room and intimate family conversations? Because that is exactly what you are doing in the virtual world by allowing strangers to be your "friend" on Facebook. Ditto on who can look you up using your phone or email--those pieces of information often end up in the wrong hands. Don't let anyone but your friends use that information to find you on social media. This is an important one to address the spam message we began this blog with. Nobody and I mean NOBODY needs to see your friends list. Lock this down to "Only Me". Why? Because a favorite Facebook scam is to swipe your profile picture (more on that in a minute), use your name and then leverage your friends list to gain access to them using a new fake profile that looks identical to your old one. Scammers don't need your password or any other profile information--you won't even know it happens until someone gets a second friend request or private message from the faked profile. Scammers want access to your friends while posing as you because friends trust friends, right? And so when the fake you asks your friends for personal information or money, your friends are likely to respond because they trust "you". Stop scammers in their tracks and protect your friends by not letting your friends list be public. We all want our profile photos to look good and represent us and our personality in a unique way, right? But if your personal photo is in that very public place, you are leaving your profile open to being replicated and used against your friends as outlined above. Because profile photos are public, it is best to use a general photo that isn't as easily identifiable as "you"--a pet, a pretty landscape, but NOT your face. Make it just that much harder for scammers to steal your profile and scam people you know. In a future episode of Tech Radio, we'll tackle the other settings you should be taking a harder look at--location tracking, face recognition and more. Until then, continue to get to know your settings on Facebook and all other platforms you and your family are using to stay safe and stay ahead of the game!